WELCOME TO OUR BRIGHTON FRINGE PROGRAMME FOR 2019... 3 MAY TO 2 JUNE! The Laughing Horse is back at the Brighton Fringe in 2019! Join us from May 3rd to June 2nd at our three fantastic central Brighton venues, The Quadrant, The Caroline of Brunswick and the Temple! Our new 2019 programme is here.... - so check out all the great shows we have for this May! Once again, we have a giant stack of comedy, theatre, kids shows, cabaret and more. At the moment we are still taking applications from performers as we have a very few gaps left. If you'd like to bring your show to one of our venues there is still time, please click here for all of the details. There's always so much to see - our venues are really a festival within a festival! One of the great things about our shows in Brighton, is over three-quarters of our programme in 2019 is free! Performers ask for a donation at the end of the shows and you get to see tons of shows, without a huge bill! We'll have a similar amount of free shows next year. And for the rest, all of the ticketed shows are £7 or less, with a lot at bargain prices like £5.... so you really can always see some great Fringe shows, all month. at bargain prices! 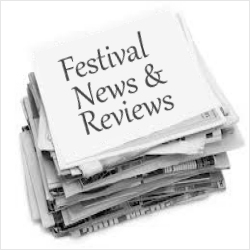 Have a browse through the programme on this website, to see what sort of shows we have.... and work out your diary to fit it all in over May!